MaggieMoo's began in 1989 in Kansas City but didn't start franchising until 1996, when the company was purchased by its current ownership. Since then it's been steadily uphill for both franchisor and ice cream lovers alike. Today the brand has 190 units and continues its rapid expansion. "We've always looked for multi-unit franchisees since we began franchising 10 years ago," says Jon Jameson, CEO of MaggieMoo's International, who joined the company two and half years ago. The company's multi-unit strategy has three parts. The first always has been to allow a successful single-unit franchisee to add more units. "It's much easier to dance with somebody you've danced with before," says Jameson. The second part, added since Jameson's arrival, is to find successful business owners looking to grow by adding a franchise brand. "We think it's important to find someone with an infrastructure in place, an operating organization, looking for an opportunity to add an additional brand to their portfolio," he says. Ideal candidates in this category are already in the franchising business, preferably retail, and preferably restaurants. The third approach is to sign up what Jameson calls "area developers, aka master franchisees." The company signed its first such deal about 15 months ago, and has signed two more since, he says. To qualify, the franchisee must already own two MaggieMoo's "Treateries" and find other franchisees to operate them. Introducing this third strategy is the direct result of the brand's desire to expand in the face of increasing competition. "That's how our primary competitor, Cold Stone Creamery, operates, so we needed to learn the benefits and risks of that," says Jameson. In addition to growth from existing franchisees, about half of MaggieMoo's new franchisees come from customers visiting its Treateries, says Jameson. The other half come from the usual sources: advertising on franchising websites, Entrepreneur magazine, franchising conferences, and direct mail to franchisees. 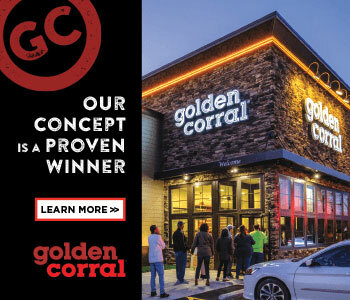 "We do take a little more of a direct approach by trying to get connected directly with multi-unit franchisees," he says. "Do the experienced folks have an easier time in the beginning? Absolutely. But does it mean I haven't seen franchisees come in from outside the industry and be successful? It's about passion for the business, the brand, customer service, and having best ice cream," he says. If they have all those things, he says, experience doesn't make a difference. "I actually think it's more about the makeup of the individual and then experience comes in. I'll take that passion any time. That's what we look for," says Jameson, who's been in the restaurant and franchising industry for 33 years. "Ice cream is fun." It all started when Ira Sumkin and his pre-teen son took a trip to see the Indy 500. "We saw a MaggieMoo's and went in. I said 'Wow, this is the best ice cream I've had in my life!'" Since he hadn't eaten ice cream for some time, he checked with his son and his friend. They agreed. When they went back to the store the next day, it teasted just as good. Back home on Long Island, Sumkin--who already was a Bath Fitter franchisee and has owned several other businesses--began exploring ice cream. After investigating several premium ice cream brands, he settled on MaggieMoo's. "I tasted all the others. MaggieMoo's was the best." Clinching the deal was that he wasn't able to secure the territory he wanted from the other brands. He has five MaggieMoo's treateries open in the Metro New York area (two in Connecticut, and nine in Manhattan and Long Island), and will build six more. He also is a Bath Fitter franchisee, with stores in New York and Chicago that bring in about $20 million in annual revenue. Another venture, in commercial real estate and building helps with build-outs for his own franchise stores, as well as other companies. He's also planning to get involved with another franchise brand, Gutter Shutter. For Sumkin, MaggieMoo's is one more part of his business ventures, and he has a regional manager running the operation. "I'm 58. All the people who run it are in their 30s," he says. "A 30-year-old has much more energy and ambition than a 58-year-old. I want people who are very aggressive, want to grow, and make a lot of money." To keep them motivated, he says, "They gain ownership on a yearly basis. They don't generally put equity into it; it's sweat equity." What motivates Sumkin? "I don't know. I cannot put my finger on it. All I know is I can't work for anybody. I've been fired from too many jobs. If it's there in front of me, I do it." Sumkin has eight people working for him at the home office: one accounting department for all his businesses, as well as an HR person and an attorney. Each MaggieMoo's and Bath Fitter has a manager in the store. His sister is involved in the business, too, in customer service. And his son, now 13, has his sight set on taking over the ice cream business when he's older. Ice cream is fun! Memorable first job: Cleaning toilets. I was probably 17 years old. I created a job cleaning rest rooms at gas stations for $15 a pop, cleaning toilets, washing windows, replacing the paper. I established a route and sold it for something like $10,000 in the early '70s. I said, "Wow this is great, this business stuff!" It didn't matter what I did, as long as it was honest work. The $10,000 was paper. I got $500 cash and $800 a month. He paid me off. Professional tip: Hire the right people. That's the bottom line. It might take a long time to find them, but it's worth it. It's too expensive not to. Key education: Failure is the best education possible you can have. Analyze it and don't do the same thing again if you can help it. Role models: Anyone who follows their dream. Have a dream and follow it. That's the best possible role model. Favorite web sites (besides your own): I do not use a computer. I get Excel spreadsheets from people. They print them out for me. Best advice anyone ever gave you: Don't give up. Best advice you ever gave anyone: Don't give up. Biggest project for the year: Get my company more efficient and technologically up to standard. We're getting more technology involved and upgrading software. What you do to unwind: My passions are my son, work, travel, and reading. Traveling is the best education.